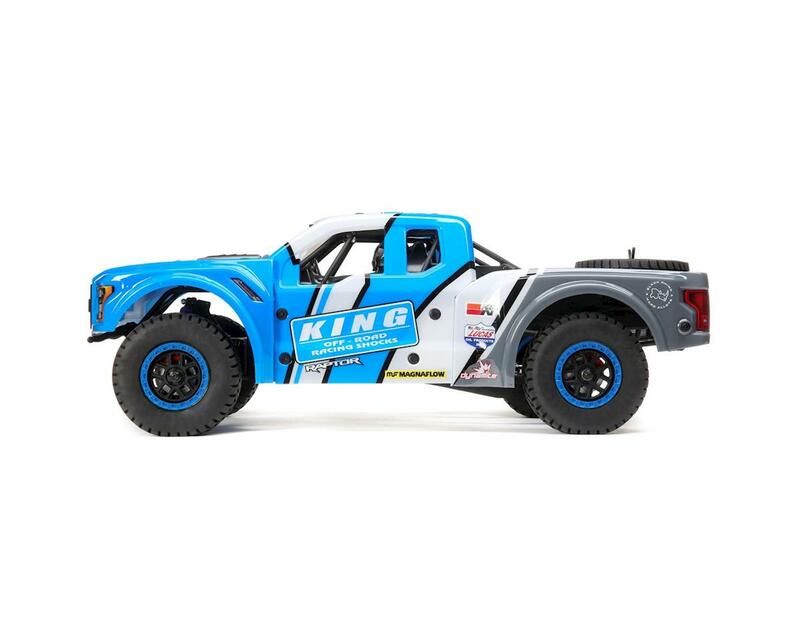 The Losi Baja Rey Ford Raptor 1/10 RTR 4WD Brushless Desert Truck is the most authentic looking Desert Truck on the market with the performance a race rig and the durability of a basher. 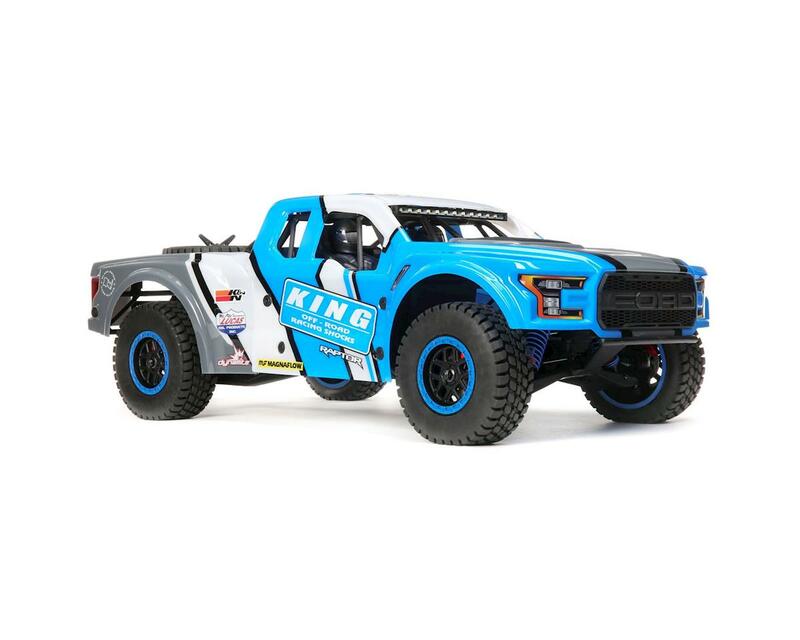 Officially licensed by Ford with King Shocks livery, the Baja Rey comes equipped with a super scale Ford Raptor body that covers a Dynamite 3800Kv brushless power system, a solid rear axle, independent front suspension, and a full roll cage/bed cage with upright shocks, so you can tear across all types of off-road terrain. And you'll do so with the full-throttle freedom that only AVC technology can provide. Just like the full scale Ford Raptor, the onboard traction control allows you to fly across the desert at speeds in excess of 50mph all while in complete control and completely dialed in. 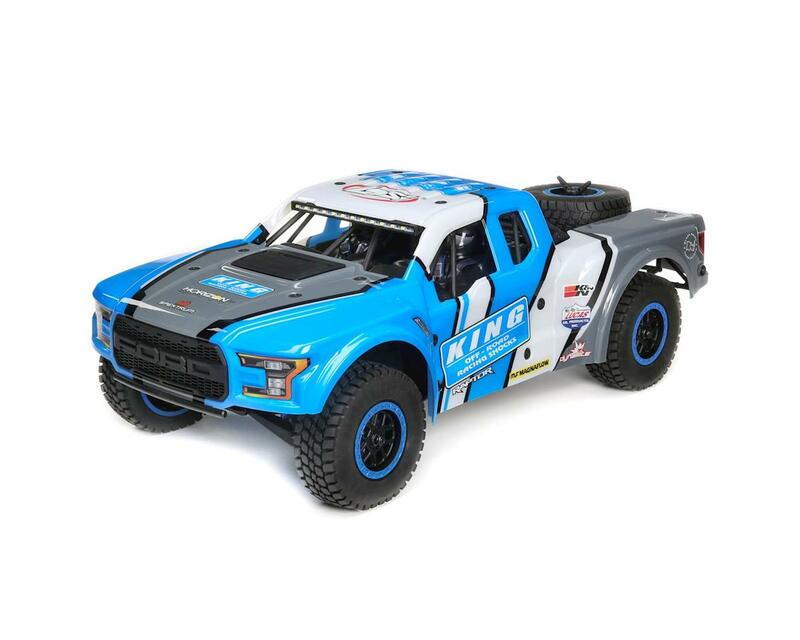 You get an authentic off-road racing experience with injection molded details, light bars and two licensed trim schemes. 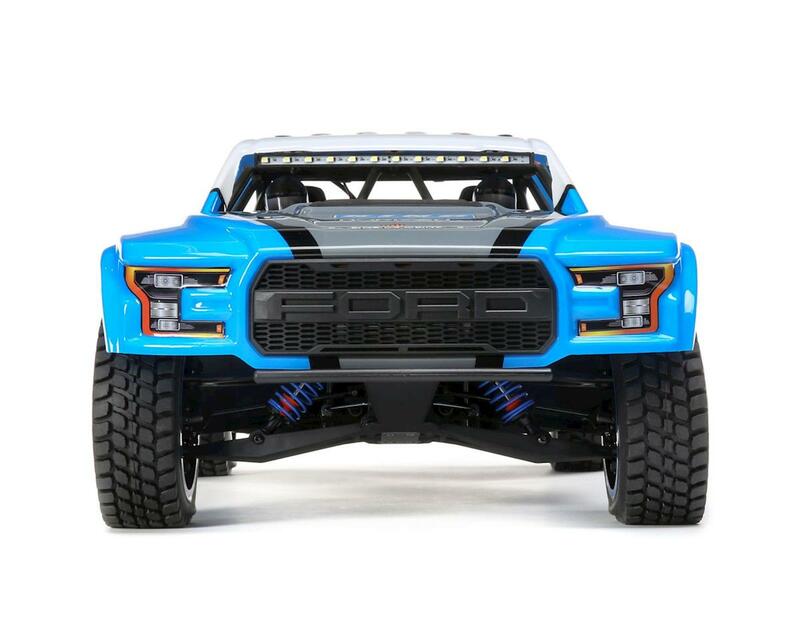 The Ford Raptor Baja Rey has just raised the bar another level. 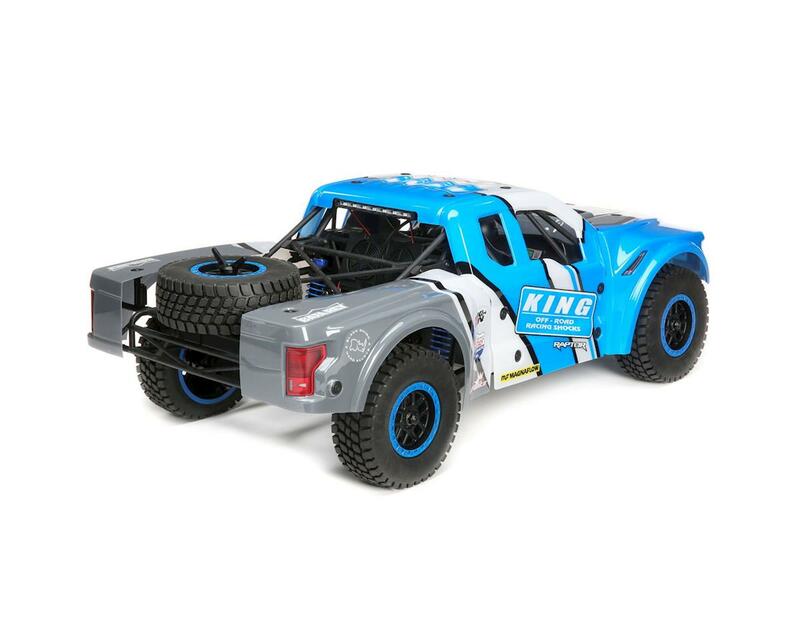 Over the top scale details including custom body, 4-link suspension and more.